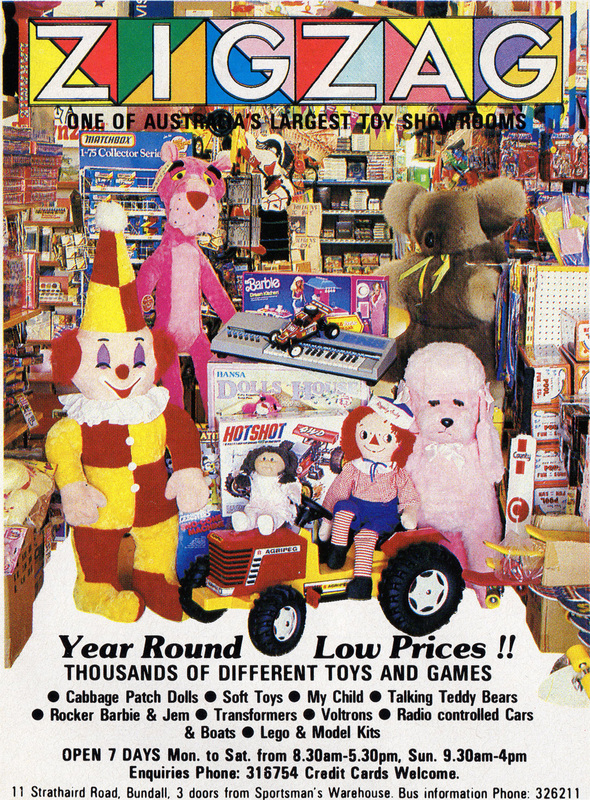 ZIGZAG was a chain of toy stores that existed in Australia from sometime in the 1980s through until, well, probably sometime in the 1990s. Google them now and it’s like they never existed. Yet back in the day, they seemed to be great little toy shops. I actually don’t have many specific memories of visiting ZIGZAG. I think I only visited one of their stores during visits to the city of Melbourne back in the late 1980s. But I decided to write about them as their stores were mostly a long way from where I lived, and they ended up seeming like a kind of far-off paradise that I longed to visit. My Grandmother lived in the leafy Melbourne suburb of Greensborough (Melbourne is the capital city of the Australian state of Victoria), and I lived about 1000Kms away near the city of Sydney. But every year or so my family would travel from Sydney down to Melbourne to spend a few days with her. Typically we would take her out a few times during each visit, and while wandering a local shopping mall I would spend some time at a ZIGZAG toy store. This picture is how I remember my visit to ZIGZAG in the 1980s – a small store, densely packed with great toys, and with narrow aisles and shelves that seemed to stretch up to the ceiling. Toys were generally popular in the 1980s – there was no such thing as a bare or spartan toy store. And certainly no such thing as a “toy store” that only really stocked hipster toys for inner-city types… No, when it came to selling toys in the 1980s, it was a simple concept: lots and lots of good quality, popular, iconic, mostly non-chinese toys – all the time. During the 1990s I started to buy some R/C hobby magazines. In them I would often see ads for another ZIGZAG store, again down in state of Victoria, but this time in the country town of Shepparton. This Shepparton store seemed like a pretty serious stockist of R/C cars and parts. But during the 1990s I figured it was too far away for me to really get access to any of the great stock they had. 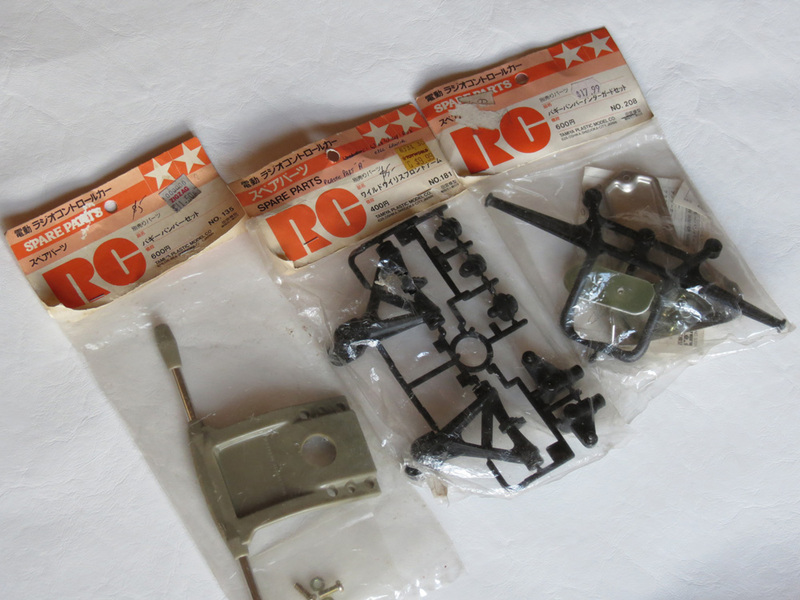 To collectors of old Tamiya R/C cars and parts, such old spare parts are lucky finds (especially given they only cost me a few dollars each). And it was particularly nice to see the connection they had to the once-popular ZIGZAG chain. 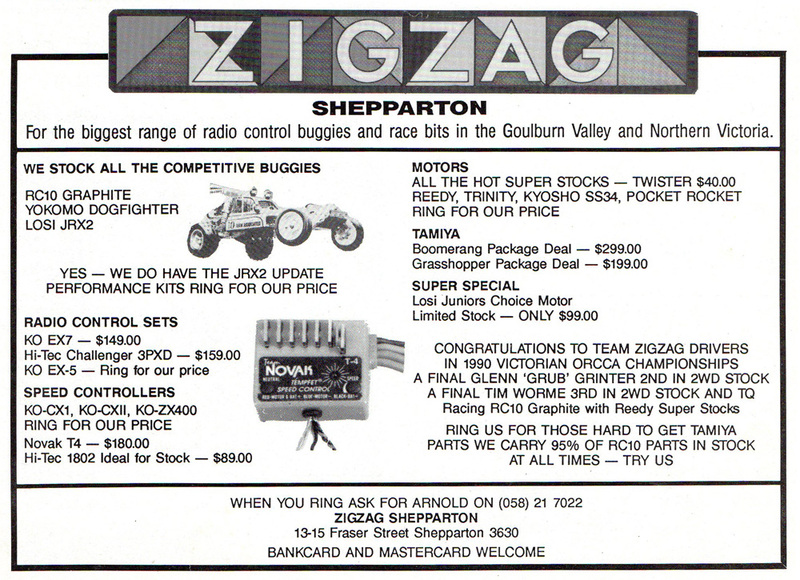 I guess the seismic shift in the toy industry during the 1990s, when huge toy supermarkets like Toys R Us and World 4 Kids opened up in Australia, ended the halcyon days of the widespread smaller toy/hobby chains like ZIGZAG. But these soulless megastores only serve to remind me of smaller (but better) toy stores that had existed in the 1980s. Man, Zig Zag was a great place.I only have very slight memories but they are all good and enough to warrant me trying to Google them! Our grandparents used to do a bucketload of Christmas shopping there and Christmas Day would involve sitting around a big Zig Zag-branded bag full of wrapped presents. I remember it being black with just the colourful Zig Zag logo on it. So nice to get a comment from someone else who actually remembers Zig Zag, thanks for getting in touch anon! You even had a cool story associated with those stores, and it must have been awesome getting all that stuff at Christmas each year.